Hello Friends! 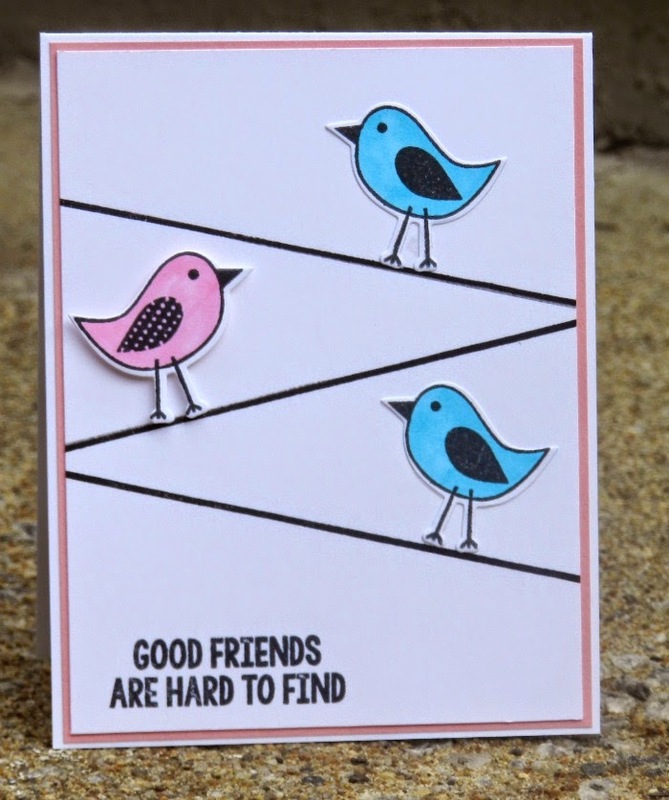 Today, I have another card using the new Jaded Blossom "Best Friends" stamp set. For this card, I paired the sentiment with The Stamps of Life "banners4all" and "Birds and Trees" stamp and framelit set. Using my Copic markers, I colored in the images. This is a easy fun card to put together and can easily be mass produced. I think this card tuned out so cute. Nice and simple, I really like this.